For the first time in our 100-year history, JA will host a global youth event. Built on more than three decades of success hosting annual FIE student-entrepreneurship events in the JA Americas region, the JA Global Youth Forum will bring together young people (ages 16–21) from around the world at the beautiful Hacienda Cocoyoc in Morelos, Mexico. 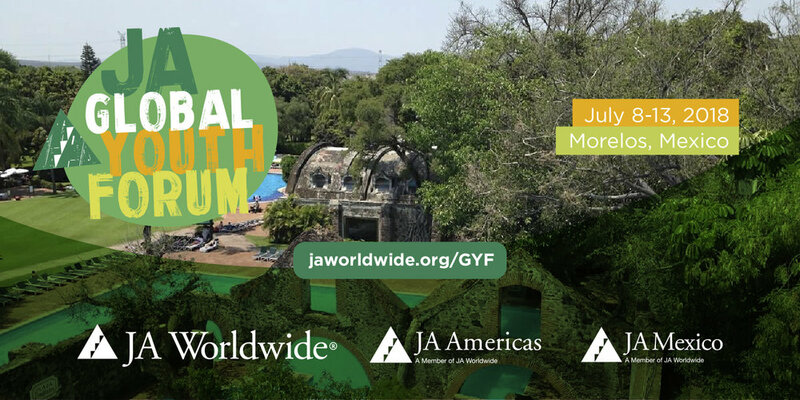 As part of the JA Centennial celebrations, JA Americas will have the privilege of hosting the first JA Global Youth Forum at the Hacienda Cocoyoc hotel, located in Morelos, Mexico in July 8 – 13, 2018. The event will bring together young people (ages 16-21) from around the world for a week of world-class keynote speakers, alumni panels, entrepreneurship workshops, business competitions, recreational activities, team-building activities, and more. The program will not only inspire participants but also empower and prepare them for their future careers and endeavors. Additional activities and training for teachers, chaperones, JA staff, board members, and other non-student attendees will keep all participants engaged. We expect 700 participants: 600 students, plus chaperones, JA staff, and board members. Representation from at least 50 countries, from all corners of the globe.